What is it about The Wheeler Plan that is causing so much trouble to Big Cable already. When are big cable operators ever happy about any of FCC’s (Federal Communications Commission) plans. This time though, a possible plan to protect consumer privacy is proving to be particularly troublesome to digest for big cable operators. Recent reports have revealed that federal regular are likely to go ahead with an audacious plan which will give consumers more authority over how their personal data is used by internet service providers. But the plan faces substantial resistance from different industry groups who are considered to be representatives of the nation’s various, and largest, cable and phone companies. 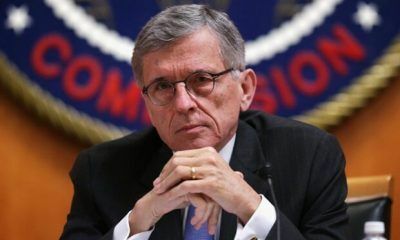 Tom Wheeler, who is the chairman of Federal Communications Commission, put forward a proposal which would, for the first time rather, initiate clear rules which would be capable of being enforced for a change. These rules will determine the details regarding when and how the country’s top internet service providers such as Verizon, AT&T along with Comcast would be able to share and use customer data for activities such as behavioral tracking and focused advertising. To put it in simple words, Tom Wheeler’s plan for guarding consumer privacy on the internet would necessitate for all major internet service providers to secure affirmative opt-in consent from the users who signed up for the company’s services. This consent from consumers, according to Wheeler’s plan, would have to happen before consumers use or share their respective sensitive information on the internet including any information regarding health records or any other form of information that could lead to financial disclosures. These plans would protect consumers from opting-in, without consent, to internet service providers’ programs which might put their crucial information like social security numbers, geolocation data, web browsing habits, web browsing history along with email content and other online forms of communications in jeopardy. Not only that, FCC’s plan to protect consumer privacy would also make it compulsory for all major internet service providers to be much more transparent about the hidden aspects of data collection. In other words, internet service providers would have to be unambiguous about the data that they might collect regarding their customers and how they intend on using that data. The plan would also make it mandatory for internet service providers to be more forthcoming about the parties with whom they would be sharing their customer’s personal data. In an agency blog post by Tom Wheeler, he said that the bottom line was that the information customers shared with their internet service providers were theirs and theirs alone. 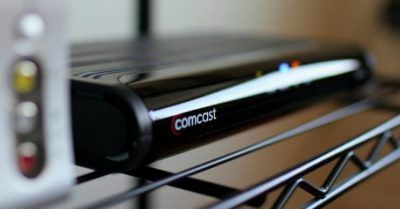 Big Cable companies like Comcast are likely to face more supervision if the Wheeler plan is approved. There is little doubt in the fact that Tom Wheeler’s suggested plan would further emphasize the growing question among the general public interest advocates and other champions of consumer privacy about the capabilities of broadband internet service provider giant such as Verizon, AT&T, and Comcast. More specifically, it would raise further concerns about these internet service provider’s power to track and record anything and everything that their customers do or don’t do online. That would not, of course, be a bad deal considering that these tracking activities, as these companies claim, actually help advertisers along with other companies to provide more relevant advertisements and content to the consumers. But the fact is that vast majority of the people who regularly go online to tend to do their business feel that these major internet service providers collect personal data without their knowledge and then use that data for commercial purposes. Harold Feld, who is the senior vice president at a consumer advocacy group named Public Knowledge based in DC, recently said in a statement that it was bad enough that the lack of broadband competition forced American citizens to pay sky-high prices on their internet packages. He further said that if concerned entities continued to allow broadband internet service providers to exploit their market power to harvest customers’ sensitive private information without even asking for permission first was not only an anti-consumer behavior but was also blatantly unfair. As mentioned earlier, the suggested rules, by the FCC, would force these broadband internet service providers to disclose an increased amount of information regarding their privacy plans for which they charge their customers extra sums of money. In other words, the FCC’s proposed plans would force these broadband internet service providers to comply with an expanded set of disclosure requirements for some of the most controversial privacy plan that these broadband internet service providers offered to their customers. Some of these plans offered customers exclusive discounts in exchange for more advanced invasive methods to be used to access their private consumer data. In a fact sheet that was published by the Federal Communications Commission last Thursday, it was stated that consumer should not be forced to choose between paying inflated prices and maintaining their right to privacy. Perhaps this is also a good time to mention that Tom Wheeler, the current chairman of Federal Communications Commission, was once a cable and telecom industry lobbyist. However, now Wheeler believes that the privacy proposal he is advocating to be enforced against broadband internet service providers forms a key component of an unexpected pro-consumer program. He also said that his suggestions have resulted in him being thrown (repeatedly) into the battle (because of conflicts) against corporate interests which he once represented. Apart from the plan to establish enforceable rules which would protect consumer privacy, Wheeler is also engaged in a clash with Big Cable because of another plan which aims to increase the competition in the monopolized market of video set-top boxes. As a result of his efforts, Wheeler was able to delay a vote related to the matter. That happened, partially, because of ruthless hostility on part of the big players in the cable industry and of course their political aids. Wheeler’s consumer privacy proposal is also scheduled to go through a vote, by the Federal Communications Commission, which will take place on October 27 at the agency’s monthly meeting. Consumer privacy proponents are, understandably, tentatively optimistic about the scheduled privacy proposal vote. Part of the reason is that Wheeler along with his two Democratic associates have a considerable 3-2 majority on the commission which consists of a total of five members. If that wasn’t enough then Wheeler is also reported to have the support of many prominent lawmakers. These influential lawmakers include people such as Senator Edward J Markey, who has himself been a longtime consumer rights advocate along with being a telecom -shrewd Democrat from Massachusetts. FCC has previously battled for net neutrality and now looks to bring Big Cable companies under its supervision. In a recent statement made via a press release, Senator Markey stated that every click an American citizen made online painted a detailed picture of their personal and professional lives and that sensitive information merited protection which was only possible through a strong broadband privacy standards. As mentioned before, Wheeler’s plan would take the Federal Communications Commission into uncharted territory because from a traditional standpoint, activities related to protection of consumer online privacy issues has come under the scope of influence of the Federal Trade Commission. That in effect allows the Federal Communications Commission to get involved in protecting net neutrality and also helped the agency to assume supervision over the privacy malpractices of broadband internet service providers in the country. The area where Wheeler’s privacy proposal would be different from others would be on the subject of forcing large cable and phone companies to come under more scrutiny than they currently go under the Federal Trade Commission. The Federal Trade Commission itself isn’t a weakling by any measure when it comes to enforcing strict laws. At the moment the Federal Trade Commission has the authority to regulate unfair or deceptive acts or practices on part of broadband internet service providers. Just to take an example, if a broadband internet service provider company is caught dishonoring the privacy promises it made to its customers then the Federal Trade Commission has the power to step in and take appropriate action. But Tom Wheeler’s suggested proposal goes one step further. 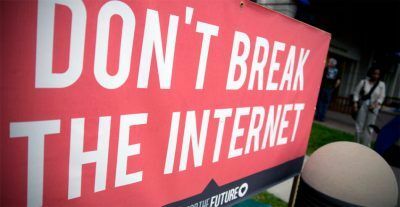 It does that by identifying bad practices purported by broadband internet service providers such as sharing customers’ sensitive and private online data without the use of an opt-in consent form and then having the Federal Communications Commission ban the companies involved in the aforementioned wrongdoings. 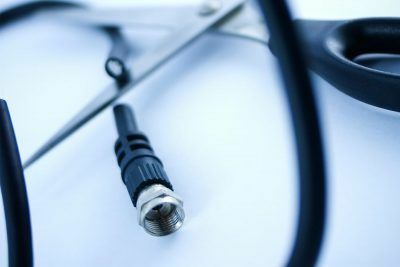 It goes without saying that the major players in the cable industry aren’t overly delighted about the idea of greater scrutiny by the Federal Communications Commission. The cable industry in the past has ofttimes accused the Federal Communications Commission of overreaching with its regulatory power. Moreover, reports have also shown that Big Cable is specifically irritated by the fact that the proposal outlined by the Federal Communications Commission calls for an increased amount of supervision on only broadband internet service providers and does not cover the giant technology companies in other industries such as Google and Facebook. To be fair to Big Cable, it is true that Google and Facebook are two companies that probably collect more consumer data than all of the other companies combined. In other words, considering the massive amount of data that companies like Google and Facebook collect from their customers, it is baffling, to say the least, to not see the Federal Communications Commission not include them in the proposal as well. In Tom Wheeler’s defense, it is also true that there is little he can do about the fact that the likes of Google and Facebook will get a pass if Wheeler’s proposal does go through the vote that is scheduled on October 27. The primary reason is that the Federal Communications Commission does not have the power over companies that are considered to be “edge providers’. These companies, Google and Facebook, continue to be monitored and policed by the Federal Trade Commission. In all probability, the major players that from Big Cable are cognizant of this fact. But, as we have already seen, that has not stopped Big Cable from protesting against Wheeler’s proposal. Big Cable has spoken about how Wheeler’s proposal would only put the broadband internet service providers at a competitive handicap against these technology giants that have dominated Silicon Valley for as long as anyone can care to remember. There is little doubt about the fact that the online advertising marketplace is a fast-growing one and that is perhaps the major cause of why Big Cable is not letting the matter slip by easily. NCTA – The Internet & Television Association is the principal trade association of the United States cable industry and represents the major players in the cable industry such as Charter and Comcast, did not hesitate to publicize its criticism of the Wheeler plan. The group recently came out with an official statement and said that if the Chairman insisted on advancing the proposed approach then the agency would hope that his fellow commissioners would “opt-out” and seek a result more faithful to the Federal Trade Commission’s proven framework of protecting customers and their privacy concerns. However, the Wheeler plan has been able to garner a considerable amount of support from several leading public interest groups. These groups acknowledge the benefits of Wheeler’s broadband privacy proposal with great enthusiasm and opposed the Big Cable industry’s efforts to subvert the suggestions present in the Wheeler plan. The policy counsel at a public interest group called Free Press (which is based in DC), Gaurav Laroia, recently noted in an official statement that when these broadband internet service providers complain, it was important for everyone to remember that the Federal Communications Commission’s rules did not ban marketing. Laroia further added that the Federal Communications Commission’s rules just enabled internet users to control whether and how their personal information could be used by these broadband internet service providers. All that can be said about the current situation with Wheeler’s plan is that, October 27nth can’t come soon enough. What are your thoughts on the Wheeler’s plan? Does it put too much supervision on the Big Cable? Are consumer privacy rights being violated by all broadband internet service providers? Do let us know your opinions and views by using the comments section below. If you liked this story then don’t forget to subscribe to securitygladiators.com to stay abreast of the latest happenings in the world of consumer privacy and security. Is Ransomware The Biggest Threat To Everyone? Even To Big Tech Companies?